When we read, when we hear stories, our brains light up. 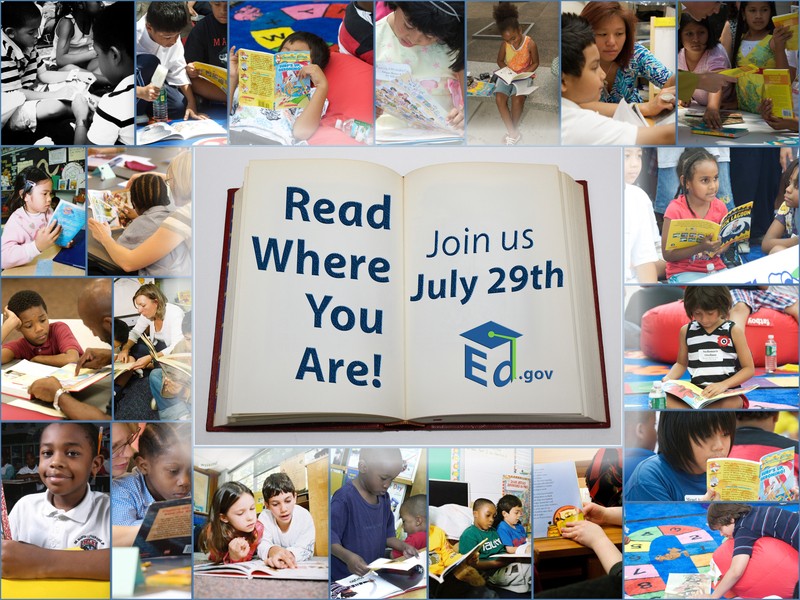 #readwhereyouare and be a part of the day of action today! Read today, anywhere and everywhere. With the summer upon us, it’s the perfect time to hit the pool, hop on a plane, or sit on a bench with a book. 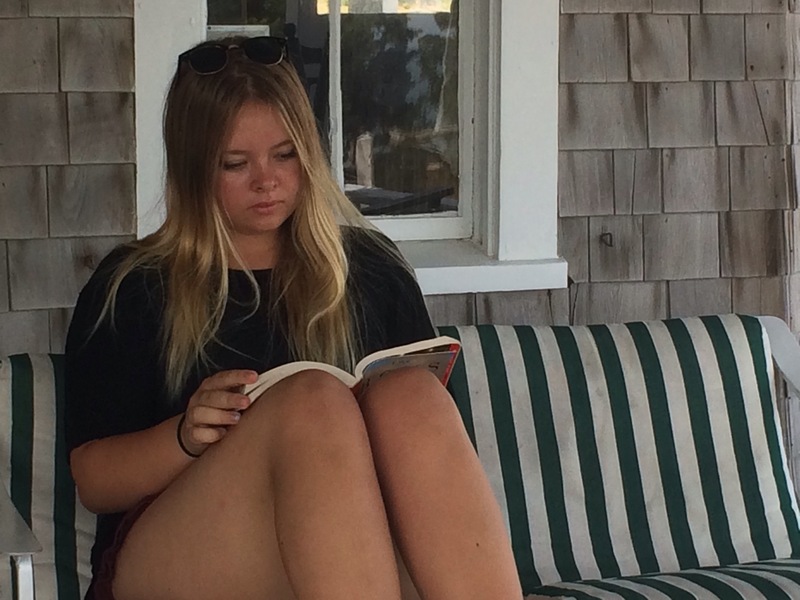 The twins have traveled around the world this summer with their books in tow. 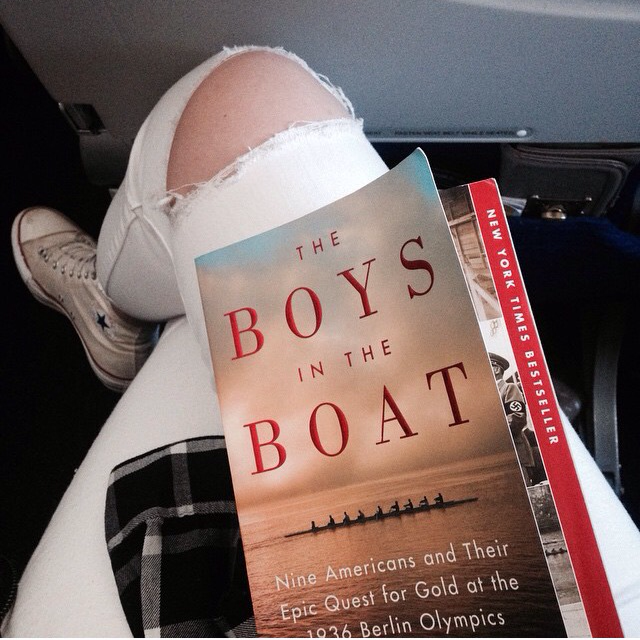 Poppy read The Boys In The Boat by Daniel James Brown on the plane coming back from England. Now Jasper’s reading it too. He’s dylexic but with the help of the audio book he’s doing it. Poppy’s an avid reader when she’s not watching reality TV. Her favorite author is John Green. The question at the end has always stuck with me. This is a wonderful simple statement that has made a life long impression on me. How will I make the world a more beautiful place? I got involved in charity work with UNICEF, ran a campaign office, and now I work in comedy sharing laughter with the world- heck I’m raising two wonderful teens. I’m so grateful my parents taught me the importance of reading and in tern the need to make the world around us and at large better. Thank you Barbara Cooney for putting pen to paper and changing lives. The White House and the U.S. Department of Education are holding a day of action today to raise awareness about the importance of reading where you are over the remaining days and weeks of summer before school starts. This day of action, Read Where You Are, encourages everyone to read with the young people in their life and in their community. #ReadWhereYouAre. 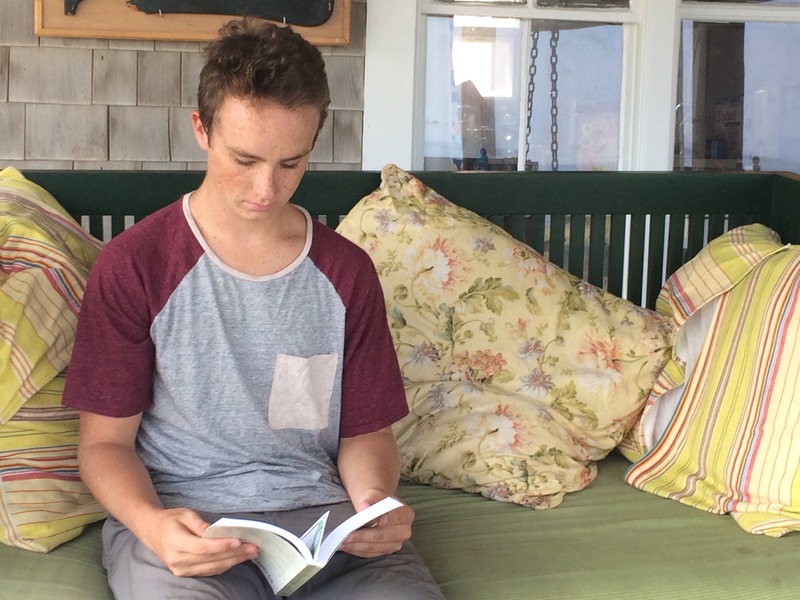 Research shows that young people who do not read over the summer fall behind their peers. This is especially true for children from low-income communities. This is directly connected to the achievement gap that can continue to persist. The good news is this is entirely preventable. Reading is powerful and helps students stay sharp and ready to learn. You can make a difference, read and tell others to read. Spread the word: Tweet, retweet, post, snap, ‘gram and chat. Read Where You Are: read to the young people in your life, your kids, or children in your community. Take a picture and share it through social media. Learn More, Read More: visit www.ed.gov/readwhereyouare to learn more about other ways to keep reading and learning happening throughout the summer. Reading is the key to escaping the world you’re in — for a few hours, or permanently as when one grows in knowledge and judgement and moves up a level. Here’s to reading!